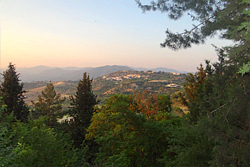 Panagia is at the beginning of Paphos Forest and mainly covered by piney woods. 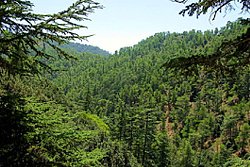 Several areas around the village are covered from other small forests with different trees and wild vegetation. 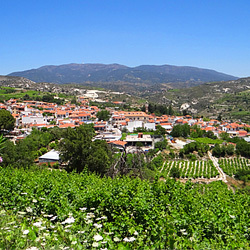 The vineyards of Panagia are mostly found in “Vouni Panagias” and areas around the mountain where the village is. Situated at an altitude of 1000 meters and above the grapes are “A” class quality. 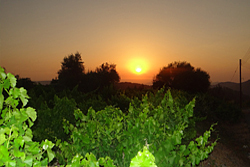 Famous wine names such as Plakota, Pampela, Agios Elias, have all taken their names from the areas on which the vineyards are located. The dam of Kannaviou, with a capacity of 18,000,000 m3, was constructed in 2005 on the Ezousa River. 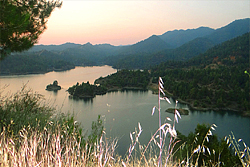 The purpose of the dam is to irrigate the area around it and also the mouth of the valley. 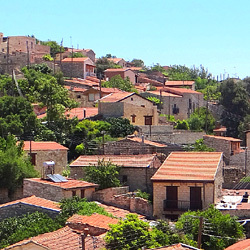 In addition water is provided to the mountain villages of Paphos which are Panayia, Kannaviou and Asprogia. 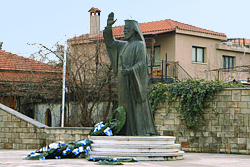 Archbishop Makarios was born in the village of Panagia in the district of Paphos, Cyprus on the 13th August 1913. 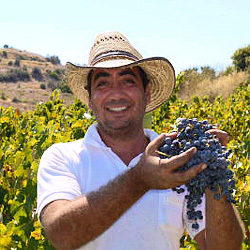 His secular name was Michael Christodoulou Mouskos. He died on 3rd August 1977 in Nicosia. Makarios was archbishop of the autocephalous Orthodox Church of Cyprus from 1950 until his death and was the first president of the Republic of Cyprus from 1960 until his death in 1977. 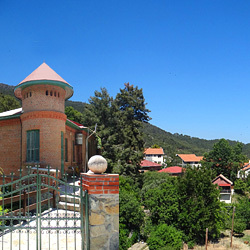 The Cedar Valley is located northeast of Panagia and is about 25 kilometers from the village between the road from Panagia and Panagia of Kykkos Monastery. 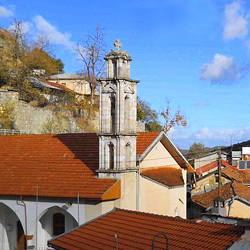 The valley is located on a hillside with a perimeter of 6 kilometers. The visitor passing on this road must certainly stop to enjoy the lovely view of the rare cedar trees, which are found in large numbers in this valley of Cyprus. 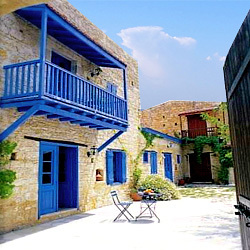 Is a region in the center of the Paphos forest at an altitude of 900 meters and is about 28 kilometers from Panagia village. 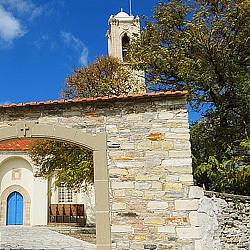 In Stavros tis Psokas there is a forestry station and camping sites that can accommodate up to 550 people. 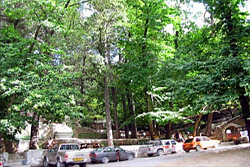 It is one of the most popular places of the Paphos forest and hosts many of tourists mainly in summer. The mouflon is a subspecies group of the wild sheep Ovis aries. In Cyprus, the mouflon or agrino became a different and endemic species only found here, the Cyprus mouflon (Ovis orientalis ophion). There is a population that is comprised of about 3000 animals only. 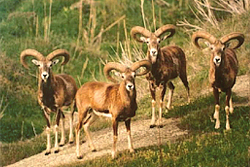 Visitors can find the mouflon mainly in the Paphos forest. 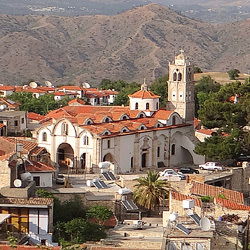 The area surrounding Panagia village and the summit of Vouni is one of the many regions of Cyprus that hosts rich natural and cultural heritage. For those in search of rest and relaxation, a visit to this area is ideal. 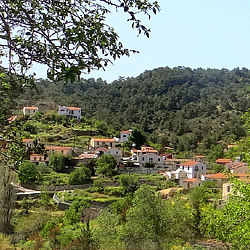 In the village you will experience local tradition and culture, while if you walk the nature trail “Vouni Panagias” you will experience the beauty of nature. 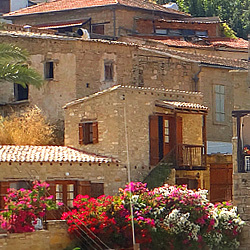 These features, enhanced by the welcoming hospitality of the local people, guarantee the visitor a pleasant stay. 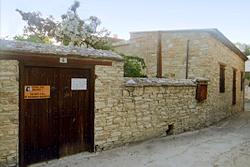 Panagia is situated at a distance of about 33 kilometers northeast of the city of Pafos (30 minutes by car), it is the highest village in the Pafos District (altitude 1146 m) and according to the 2011 census it has population of 481 inhabitants. 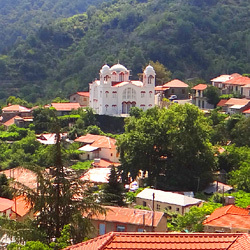 The village is named Panagia for the Virgin Mary, who is highly honoured in the vicinity. 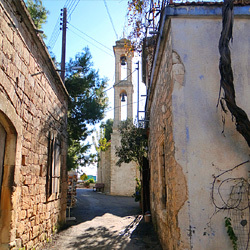 To the northeast of Panagia is Vretsia, an abandoned Turkish Cypriot village, while to the south are the villages of Koilineia, Galataria and Statos-Agios Fotios, and to the east are Asprogia and Mamoundali, another abandoned Turkish Cypriot village. 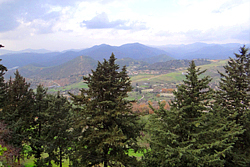 To the north there is the Pafos main state forest. The most prominent peaks in this region are Vouni-Profitis Elias (alt. 1146m). Moutti tis Koutsoullas in the northwest (alt. 842.). Axylofos in the south (alt. 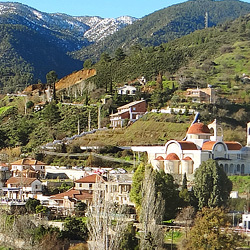 807m) and Agios Ioannis in the southeast (alt. 879m). Most of the trail falls within the area of the Natura 2000 network. The trail crosses through vineyards, small forested areas and other cultivated land. It also includes several listed view points and cliffs. The trail begins at the town square where the Communal Board is located and where there is a car park. The trail is well marked with arrow-shaped signs to guide the hiker. The lowest altitude is 850 m and the highest is 1146 m.
The trail up to the Profitis Elias country church (at the top of Vouni peak) is 3000 meters in length, with walking time estimated at one and a half to two hours, depending on walking pace. The first part of the trail (about 2000 m) gradually ascends and the view continually expands to reveal a variety of diverse landscapes including vast vineyards, impressive cliffs, forests and ravines. 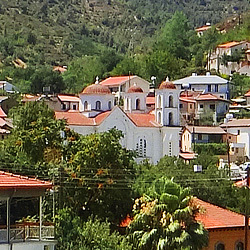 Towards the top of the hill, the last section of the trail (about 1000 m long) follows a nearly level course to reach the church of Profitis Elias.